The apostle Paul writes that we are to be transformed, but for many Christians, figuring out how to approach spiritual transformation can be elusive. 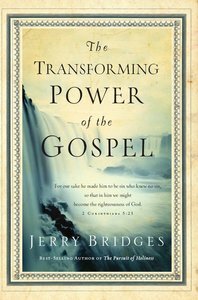 Best-selling author Jerry Bridges helps us understand that we have available to us the ultimate power source for true spiritual growth: the gospel. About "The Transforming Power of the Gospel"